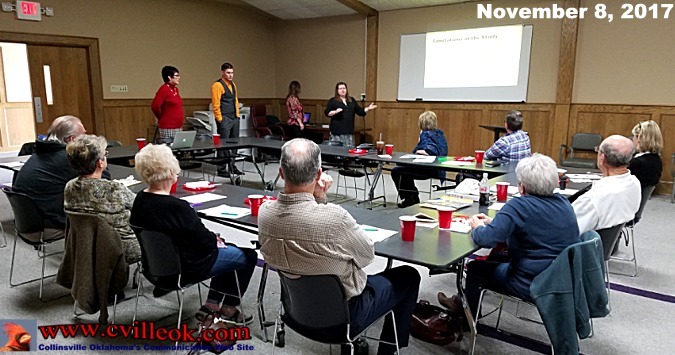 At their monthly meeting (Nov. 8th), The Collinsville Education Foundation trustees heard a report from Dr. Eileen Richardson and four of her Cameron University teaching students. The topic was results from their study of "Movement Opportunities In the Classroom" with four Collinsville 4th grade classroom being the subjects for the research. 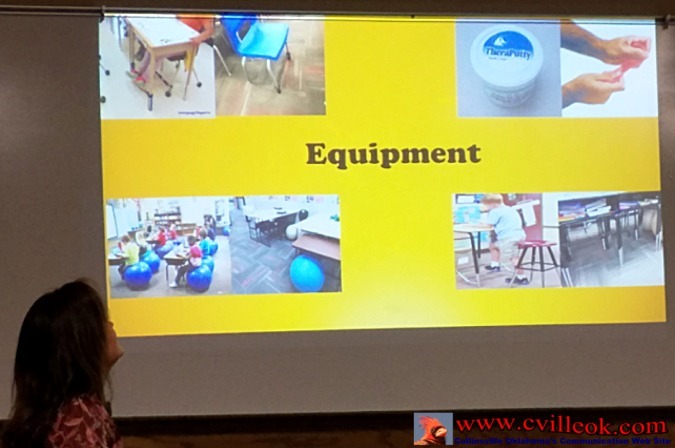 The CEF partially funded the effort which provided stand-up desks, stability balls, fidget bands, fidget tools, and Thera-putty in one classroom at a time. Student disciplinary issues were logged to hopefully determine if increased movement by the students helped their academic and behavioral focus. Overall the early results were encouraging. The Collinsville Chamberof Commerce hed a ribbon cutting ceremony Monday November 13, 2017, for "Family Cuts" now open at 13882 E 146th St. N. in Collinsville, OK (located between Dollar General and Green Country Auto Sales). The Bartlesville Symphony Orchestra is now accepting applications for the 2017-2018 Young Artist Competition. Now in its 36th year, the competition awards one vocalist and one instrumentalist for music excellence and performance. The competition provides young musicians the opportunity for exposure within the community through performance as a soloist at a BSO concert. Additionally, a $500 cash prize will be awarded to each of the winners. Any instrumentalist, pianist or vocalist in grades 10 through 12 may apply. All applicants must be 15 years old at the time of the competition. Please visit www.bsook.org for additional rules and details about the young artist application process. All applications are due to the BSO office at 415 S Dewey Suite 201 in Bartlesville by 5 p.m. on Friday, December 8, 2017. This year, the winners will have the opportunity to perform at the Symphonys 60th Diamond Anniversary concert. The March 24, 2018 performance is a celebration of the BSOs past, present, and future. Past Young Artist Award winners include Travis Dunlap, Julie Hershberger, Jay Hershberger, and Carla Janzen. Performing under the leadership of Maestro Lauren Green, the Bartlesville Symphony Orchestra is celebrating the 60th Diamond Anniversary Season. Established in 1957, the BSO provides cultural enrichment, music education, and performing arts appreciation for Bartlesville and surrounding communities. The BSO is a professional/community orchestra consisting of professional, student, and volunteer musicians. For season concert tickets or general information please contact the BSO office (918) 336-7717 or visit www.bsook.org.